The latest and greatest. We all know by now that MMP is known for their sustainable products. Bamboo is one of the most sustainable materials around because of the ease and quickness of how it grows. Here are some new bamboo cutting boards for 2013. You can now add your favorite and/or corporate trim color. My favorite color is green, in case you were wondering. If not, now you know something new about me. To the right is an example of how we can take your standard bamboo cutting board and decorate it with your corporate logo and/or incentive. These of course make great gifts and/or items to sell for the food industry. 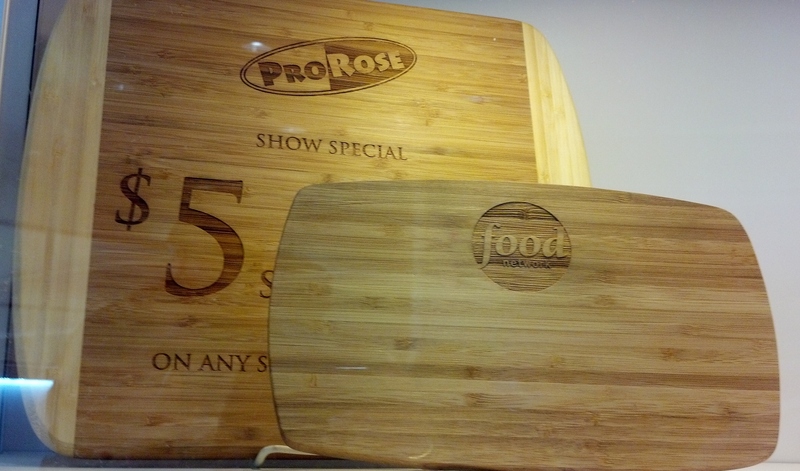 Restaurants, food companies and food events are perfect for these cutting boards.